Q 1: What is the justification of GST? Ans: There was a burden of "tax on tax" in the pre-existing Central excise duty of the Government of India and sales tax system of the State Governments. The introduction of Central VAT (CENVAT) has removed the cascading burden of "tax on tax" to a good extent by providing a mechanism of "set off" for tax paid on inputs and services upto the stage of production, and has been an improvement over the pre-existing Central excise duty. Similarly, the introduction of VAT in the States has removed the cascading effect by giving set-off for tax paid on inputs as well as tax paid on previous purchases and has again been an improvement over the previous sales tax regime. But both the CENVAT and the State VAT have certain incompleteness. The incompleteness in CENVAT is that it has yet not been extended to include chain of value addition in the distributive 30 trade below the stage of production. It has also not included several Central taxes, such as Additional Excise Duties, Additional Customs Duty, Surcharges etc. in the overall framework of CENVAT, and thus kept the benefits of comprehensive input tax and service tax set-off out of the reach of manufacturers/ dealers. The introduction of GST will not only include comprehensively more indirect Central taxes and integrate goods and services taxes for set-off relief, but also capture certain value addition in the distributive trade. Similarly, in the present State-level VAT scheme, CENVAT load on the goods has not yet been removed and the cascading effect of that part of tax burden has remained unrelieved. Moreover, there are several taxes in the States, such as, Luxury Tax, Entertainment Tax, etc. which have still not been subsumed in the VAT. Further, there has also not been any integration of VAT on goods with tax on services at the State level with removal of cascading effect of service tax. In addition, although the burden of Central Sales Tax (CST) on inter-State movement of goods has been lessened with reduction of CST rate from 4% to 2%, this burden has also not been fully phased out. With the introduction of GST at the State level, the additional burden of CENVAT and services tax would be comprehensively removed, 31 and a continuous chain of set-off from the original producer's point and service provider's point upto the retailer's level would be established which would eliminate the burden of all cascading effects, including the burden of CENVAT and service tax. This is the essence of GST. Also, major Central and State taxes will get subsumed into GST which will reduce the multiplicity of taxes, and thus bring down the compliance cost. With GST, the burden of CST will also be phased out. The illustration shown below indicates, in terms of a hypothetical example with a manufacturer, one wholesaler and one retailer, how GST will work. Let us suppose that GST rate is 10%, with the manufacturer making value addition of Rs.30 on his purchases worth Rs.100 of input of goods and services used in the manufacturing process. The manufacturer will then pay net GST of Rs. 3 after setting-off Rs. 10 as GST paid on his inputs (i.e. Input Tax Credit) from gross GST of Rs. 13. The manufacturer sells the goods to the wholeseller. When the wholeseller sells the same goods after making value addition of (say), Rs. 20, he pays net GST of only Rs. 2, after setting-off of Input Tax Credit of Rs. 13 from the gross GST of Rs. 15 to the manufacturer. Similarly, when a retailer sells the same goods after a value addition of (say) Rs. 10, he pays net GST of only Re.1, after setting-off Rs.15 from his gross GST of Rs. 16 paid to wholeseller. Thus, the manufacturer, wholeseller and retailer have to pay only Rs. 6 (= Rs. 3+Rs. 2+Re. 1) as GST on the value addition along the entire value chain from the producer to the retailer, after setting-off GST paid at the earlier stages. The overall burden of GST 33 on the goods is thus much less. This is shown in the table below. The same illustration will hold in the case of final service provider as well. Q 3: How can the burden of tax, in general, fall under GST? Ans: As already mentioned in Answer to Question 1, the present forms of CENVAT and State VAT have remained incomplete in removing fully the cascading burden of taxes already paid at earlier stages. Besides, there are several other taxes, which both the Central Government and the State Government levy on production, manufacture and distributive trade, where no set-off is available in the form of input tax credit. These taxes add to the cost of goods and services through "tax on tax" 34 which the final consumer has to bear. Since, with the introduction of GST, all the cascading effects of CENVAT and service tax would be removed with a continuous chain of set-off from the producer's point to the retailer's point, other major Central and State taxes would be subsumed in GST and CST will also be phased out, the final net burden of tax on goods, under GST would, in general, fall. Since there would be a transparent and complete chain of set-offs, this will help widening the coverage of tax base and improve tax compliance. This may lead to higher generation of revenues which may in turn lead to the possibility of lowering of average tax burden. Q 4: How will GST benefit industry, trade and agriculture? Ans: As mentioned in Answer to Question 3, the GST will give more relief to industry, trade and agriculture through a more comprehensive and wider coverage of input tax set-off and service tax set-off, subsuming of several Central and State taxes in the GST and phasing out of CST. The transparent and complete chain of set-offs which will result in widening of tax base and better tax compliance may also lead to lowering of tax burden on an average dealer in industry, trade and agriculture. Q 5: How will GST benefit the exporters? Ans: The subsuming of major Central and State taxes in GST, complete and comprehensive setoff of input goods and services and phasing out of Central Sales Tax (CST) would reduce the cost of locally manufactured goods and services. This will increase the competitiveness of Indian goods and services in the international market and give boost to Indian exports. The uniformity in tax rates and procedures across the country will also go a long way in reducing the compliance cost. Q 6: How will GST benefit the small entrepreneurs and small traders? Ans: The present threshold prescribed in different State VAT Acts below which VAT is not applicable varies from State to State. The existing threshold of goods under State VAT is Rs. 5 lakhs for a majority of bigger States and a lower threshold for North Eastern States and Special Category States. A uniform State GST threshold across States is desirable and, therefore, the Empowered Committee has recommended that a threshold of gross annual turnover of Rs. 10 lakh both for goods and services for all the States and Union Territories may be adopted with adequate compensation for the States (particularly, the States in North-Eastern Region and Special Category States) where lower threshold had prevailed in the VAT regime. Keeping in view the interest of small traders and small scale industries and to avoid dual control, the States considered that the threshold for Central GST for goods may be kept at Rs.1.5 crore and the threshold for services should also be appropriately high. This raising of threshold will protect the interest of small traders. A Composition scheme for small traders and businesses has also been envisaged under GST as will be detailed in Answer to Question 14. Both these features of GST will adequately protect the interests of small traders and small scale industries. Q 7: How will GST benefit the common consumers? Ans: As already mentioned in Answer to Question 3, with the introduction of GST, all the cascading effects of CENVAT and service tax will be more comprehensively removed with a continuous chain of set-off from the producer’s point to the retailer’s point than what was possible under the prevailing CENVAT and VAT regime. Certain major Central and State taxes will also be subsumed in GST and CST will be phased out. Other things remaining the same, the burden of tax on goods would, in general, fall under GST and that would benefit the consumers. Q 8: What are the salient features of the proposed GST model? · Consistent with the federal structure of the country, the GST will have two components: one levied by the Centre (hereinafter referred to as Central GST), and the other levied by the States (hereinafter referred to as State GST). This dual GST model would be implemented through multiple statutes (one for CGST and SGST statute for every State). However, the basic features of law such as chargeability, definition of taxable event and taxable person, measure of levy including valuation provisions, basis of classification etc. would be uniform across these statutes as far as practicable. · The Central GST and the State GST would be applicable to all transactions of goods and services except the exempted goods and services, goods which are outside the purview of GST and the transactions which are below the prescribed threshold limits. · The Central GST and State GST are to be paid to the accounts of the Centre and the States separately. · Since the Central GST and State GST are to be treated separately, in general, taxes paid against the Central GST shall be allowed to be taken as input tax credit (ITC) for the Central GST and could be utilized only against the payment of Central GST. The same principle will be applicable for the State GST. · Cross utilisation of ITC between the Central GST and the State GST would, in general, not be allowed. · To the extent feasible, uniform procedure for collection of both Central GST and State GST would be prescribed in the respective legislation for Central GST and State GST. · The taxpayer would need to submit periodical returns to both the Central GST authority and to the concerned State GST authorities. · Keeping in mind the need of tax payers convenience, functions such as assessment, enforcement, scrutiny and audit would be undertaken by the authority which is collecting the tax, with information sharing between the Centre and the States. Q 9: Why is Dual GST required? Ans: India is a federal country where both the Centre and the States have been assigned the powers to levy and collect taxes through appropriate legislation. Both the levels of Government have distinct responsibilities to perform according to the division of powers prescribed in the Constitution for which they need to raise resources. A dual GST will, therefore, be in keeping with the Constitutional requirement of fiscal federalism. Q 10: How would a particular transaction of goods and services be taxed simultaneously under Central GST (CGST) and State GST (SGST)? Ans: The Central GST and the State GST would be levied simultaneously on every transaction of supply of goods and services except the exempted goods and services, goods which are outside the purview of GST and the transactions which are below the prescribed threshold limits. Further, both would be levied on the same price or value unlike State VAT which is levied on the value of the goods inclusive of CENVAT. While the location of the supplier and the recipient within the country is immaterial for the purpose of CGST, SGST would be chargeable only when the supplier and the recipient are both located within the State. Illustration I: Suppose hypothetically that the rate of CGST is 10% and that of SGST is 10%. When a wholesale dealer of steel in Uttar Pradesh supplies steel bars and rods to a construction company which is also located within the same State for , say Rs. 100, the dealer would charge CGST of Rs. 10 and SGST of Rs. 10 in addition to the basic price of the goods. He would be required to deposit the CGST component into a Central Government account while the SGST portion into the account of the concerned State Government. Of course, he need not actually pay Rs. 20 (Rs. 10 + Rs. 10 ) in cash as he would be entitled to set-off this liability against the CGST or SGST paid on his purchases (say, inputs). But for paying CGST he would be allowed to use only the credit of CGST paid on his purchases while for SGST he can utilize the credit of SGST alone. In other words, CGST credit cannot, in general, be used for payment of SGST. Nor can SGST credit be used for payment of CGST. Illustration II: Suppose, again hypothetically, that the rate of CGST is 10% and that of SGST is 10%. When an advertising company located in Mumbai supplies advertising services to a company manufacturing soap also located within the State of Maharashtra for, let us say Rs. 100, the ad company would charge CGST of Rs. 10 as well as SGST of Rs. 10 to the basic value of the service. He would be required to deposit the CGST component into a Central Government account while the SGST portion into the account of the concerned State Government. Of course, he need not again actually pay Rs. 20 (Rs. 10+Rs. 10) in cash as it would be entitled to set-off this liability against the CGST or SGST paid on his purchase (say, of inputs such as stationery, office equipment, services of an artist etc). But for paying CGST he would be allowed to use only the credit of CGST paid on its purchase while for SGST he can utilise the credit of SGST alone. In other words, CGST credit cannot, in general, be used for payment of SGST. Nor can SGST credit be used for payment of CGST. Q 11: Which Central and State taxes are proposed to be subsumed under GST? · Taxes or levies to be subsumed should be primarily in the nature of indirect taxes, either on the supply of goods or on the supply of services. · Taxes or levies to be subsumed should be part of the transaction chain which commences with import/ manufacture/ production of goods or provision of services at one end and the consumption of goods and services at the other. · The subsumation should result in free flow of tax credit in intra and inter-State levels. · The taxes, levies and fees that are not specifically related to supply of goods & services should not be subsumed under GST. · Revenue fairness for both the Union and the States individually would need to be attempted. ii. Entertainment tax (unless it is levied by the local bodies). iv. Taxes on lottery, betting and gambling. v. State Cesses and Surcharges in so far as they relate to supply of goods and services. vi. Entry tax not in lieu of Octroi. Tax on Tobacco products: Tobacco products would be subjected to GST with ITC. Centre may be allowed to levy excise duty on tobacco products over and above GST with ITC. Taxation of Services: As indicated earlier, both the Centre and the States will have concurrent power to levy tax on goods and services. In the case of States, the principle for taxation of intra-State and inter46 State has already been formulated by the Working Group of Principal Secretaries /Secretaries of Finance / Taxation and Commissioners of Trade Taxes with senior representatives of Department of Revenue, Government of India. For inter-State transactions an innovative model of Integrated GST will be adopted by appropriately aligning and integrating CGST and IGST. Q 12: What is the rate structure proposed under GST? Ans: The Empowered Committee has decided to adopt a two-rate structure –a lower rate for necessary items and items of basic importance and a standard rate for goods in general. There will also be a special rate for precious metals and a list of exempted items. For upholding of special needs of each State as well as a balanced approach to federal flexibility, it is being discussed whether the exempted list under VAT regime including Goods of Local Importance may be retained in the exempted list under State GST in the initial years. It is also being discussed whether the Government of India may adopt, to begin with, a similar approach towards exempted list under the CGST. For CGST relating to goods, the States considered that the Government of India might also 47 have a two-rate structure, with conformity in the levels of rate with the SGST. For taxation of services, there may be a single rate for both CGST and SGST. Q 13: What is the concept of providing threshold exemption for GST? a. It is difficult to administer small traders and cost of administering of such traders is very high in comparison to the tax paid by them. b. The compliance cost and compliance effort would be saved for such small traders. c. Small traders get relative advantage over large enterprises on account of lower tax incidence. The present thresholds prescribed in different State VAT Acts below which VAT is not applicable varies 48 from State to State. A uniform State GST threshold across States is desirable and, therefore, as already mentioned in Answer to Question 6, it has been considered that a threshold of gross annual turnover of Rs. 10 lakh both for goods and services for all the States and Union Territories might be adopted with adequate compensation for the States (particularly, the States in North-Eastern Region and Special Category States) where lower threshold had prevailed in the VAT regime. Keeping in view the interest of small traders and small scale industries and to avoid dual control, the States also considered that the threshold for Central GST for goods may be kept Rs.1.5 Crore and the threshold for services should also be appropriately high. Q 14: What is the scope of composition and compounding scheme under GST? Ans: As already mentioned in Answer to Question 6, a Composition/Compounding Scheme will be an important feature of GST to protect the interests of small traders and small scale industries. The Composition/Compounding scheme for the purpose of GST should have an upper ceiling on gross annual turnover and a floor tax rate with respect to gross annual turnover. In particular there will be a compounding cut-off at Rs. 50 lakhs of the gross 49 annual turnover and the floor rate of 0.5% across the States. The scheme would allow option for GST registration for dealers with turnover below the compounding cut-off. Q 15: How will imports be taxed under GST? Ans: With Constitutional Amendments, both CGST and SGST will be levied on import of goods and services into the country. The incidence of tax will follow the destination principle and the tax revenue in case of SGST will accrue to the State where the imported goods and services are consumed. Full and complete set-off will be available on the GST paid on import on goods and services. Q 16: Will cross utilization of credits between goods and services be allowed under GST regime? Ans: Cross utilization of credit of CGST between goods and services would be allowed. Similarly, the facility of cross utilization of credit will be available in case of SGST. However, the cross utilization of CGST and SGST would generally not be allowed except in the case of inter-State supply of goods and services under the IGST model which is explained in answer to the next question. Q 17: How will be Inter-State Transactions of Goods and Services be taxed under GST in terms of IGST method? Ans: The Empowered Committee has accepted the recommendation for adoption of IGST model for taxation of inter-State transaction of Goods and Services. The scope of IGST Model is that Centre would levy IGST which would be CGST plus SGST on all inter-State transactions of taxable goods and services. The inter-State seller will pay IGST on value addition after adjusting available credit of IGST, CGST, and SGST on his purchases. The Exporting State will transfer to the Centre the credit of SGST used in payment of IGST. The Importing dealer will claim credit of IGST while discharging his output tax liability in his own State. The Centre will transfer to the importing State the credit of IGST used in payment of SGST. The relevant information is also submitted to the Central Agency which will act as a clearing house mechanism, verify the claims and inform the respective governments to transfer the funds. a. Maintenance of uninterrupted ITC chain on inter-State transactions. b. No upfront payment of tax or substantial blockage of funds for the inter-State seller or buyer. c. No refund claim in exporting State, as ITC is used up while paying the tax. e. Level of computerization is limited to inter-State dealers and Central and State Governments should be able to computerize their processes expeditiously. f. As all inter-State dealers will be e-registered and correspondence with them will be by e-mail, the compliance level will improve substantially. g. Model can take ‘Business to Business’ as well as ‘Business to Consumer’ transactions into account. Q 18: Why does introduction of GST require a Constitutional Amendment? Ans: The Constitution provides for delineation of power to tax between the Centre and States. While the Centre is empowered to tax services 52 and goods upto the production stage, the States have the power to tax sale of goods. The States do not have the powers to levy a tax on supply of services while the Centre does not have power to levy tax on the sale of goods. Thus, the Constitution does not vest express power either in the Central or State Government to levy a tax on the ‘supply of goods and services’. Moreover, the Constitution also does not empower the States to impose tax on imports. Therefore, it is essential to have Constitutional Amendments for empowering the Centre to levy tax on sale of goods and States for levy of service tax and tax on imports and other consequential issues. As part of the exercise on Constitutional Amendment, there would be a special attention to the formulation of a mechanism for upholding the need for a harmonious structure for GST along with the concern for the powers of the Centre and the States in a federal structure. 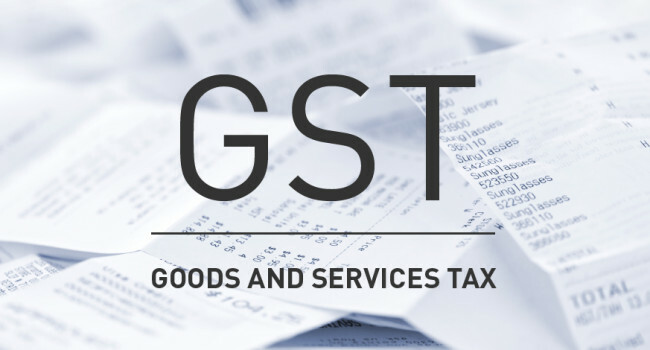 Q 19: How are the legislative steps being taken for CGST and SGST? Ans: A Joint Working Group has recently been constituted (September 30, 2009) comprising of the officials of the Central and State Governments to prepare, in a time-bound manner a draft legislation for Constitutional Amendment. Q 20: How will the rules for administration of CGST and SGST be framed? Ans: The Joint Working Group, as mentioned above, has also been entrusted the task of preparing draft legislation for CGST, a suitable Model Legislation for SGST and rules and procedures for CGST and SGST. Simultaneous steps have also been initiated for drafting of legislation for IGST and rules and procedures. As a part of this exercise, the Working Group will also address to the issues of dispute resolution and advance ruling.